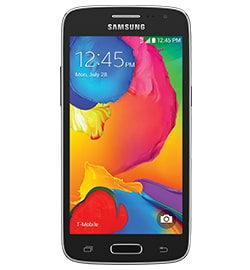 Smartphones available for the prepaid plan range from a basic ZTE Zinger for under a $100 including a SIM card and $30 refill card to a Samsung Galaxy Avant for just under $200. They used to also feature phones like the Samsung Galaxy S-series, and the new LG phones, but no longer do so. Perhaps the over $600 plus price tags were a bit prohibitive. Still the phones in the line-up still have fairly large screens, and you can find a 4G LTE phone or two with a front-facing camera as well. Plans available for these smartphones start at $30 per month for the data-centric plans with limited voice minutes and go up from there. Note that WiFi calling is also available if you are out of range of the cellular network or if you simply don't want to use cellular for voice. Here are the top three recommended phones. The Alcatel OneTouch Fierce 2 actually costs a few dollars less than the Avant below, however, some of its specs are slightly better, so I've listed it first. Mainly, it has a larger screen at 5 inches, and it has a so-called Exynos Octacore processor combination which is composed of a 1.9 quadcore processor and a 1.3 GHz quadcore processor. Of course, these are just specs, and one can't say whether the actual performance is better. The camera is relatively modest at 5MP resolution, however there is a built-in flash which should improve picture-taking. On the video side, you can record in 720p HD. The Galaxy Avant is a 4G phone with a 4.5 inch qHD screen with a 5 MP camera plus a front-facing camera. 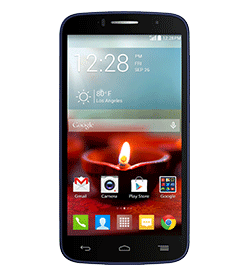 It has a 1.2 GHz quadcore processor and runs a fairly recent version (4.4) of the Android OS. 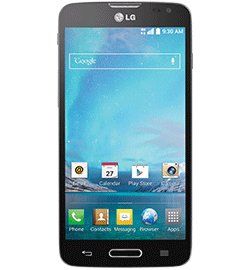 Note: There is a $50 rebate in the form of a prepaid Mastercard when you get this phone online from T-Mobile. Exp. 3/3/3015. The Optimus L90 is the last of the recommended prepaid phone. It, too, is 4G capable and has a 4.7 inch screen, a 5 MP camera with flash. One of it promoted features is a self-healing back which lets its appearance recover from small scratches and bruises.